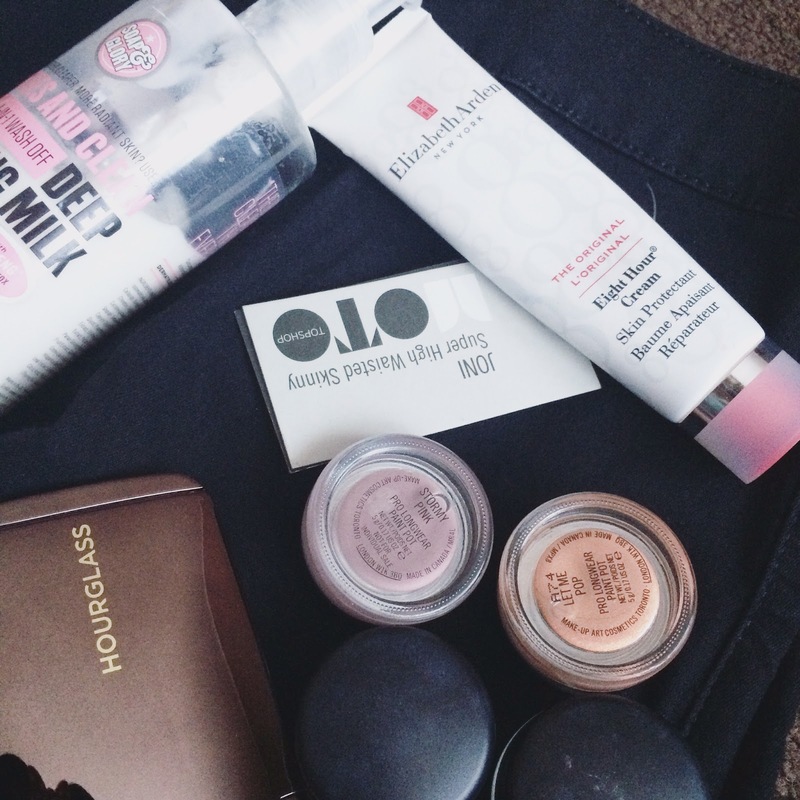 As you may of noticed I skipped my December and January favourites, I never really had anything new to share the last two months but I really wanted to share my 2015 favourites. Number 1 has to be Soap and Glory Peaches and Clean Cleanser. I have to start with this as this was the kick start to my blog. It has made my skin super clean and I am so glad I finally used a cleanser. It definitely changed my view on using cleansers. Sally Hanson Green Tea nail polish will also be top of my list as it completely saved my nails. Having had so many Shellac manicures ruining my nails, this nail polish was a life saver. Topshop Joni Jeans. This year I ventured out not only with make-up but with clothes too. I mean jeans aren't that out there but I never really wanted to pay so much for a pair of jeans! Mac Pro Long-Wear Paint Pots. I actually featured them in my August Favourites and I could off featured them in all year round. They have been so handy for quick eye looks. They are really easy to apply and I have the most gorgeous colours. Hourglass Ambient Light Palette. Again this was in my August Favourites. I got it as a birthday gift in America and it is gorgeous! It has been my go-to highlighter in 2015. It is beautiful and has the best pigmentations ever. Last but not least, HAS to be Elizabeth Arden 8 Hour Cream. I purchased this nearer the end of the year but the months I used it, I feel in love. Both the hand cream and Skin Protectant is always in my handbag. It has saved my hands and also my chapped lips. They are quite pricey on there own but I know that there are websites or at duty free that have sets of them together. If you haven't I would check it out. I know that I have been on schedule with my blogs but I promise to get back into it. Let me know what has been your 2015 favourites?